The $150 million agreement between the government-owned CS Energy and the Kennedy Energy Park marks yet another positive step for Australia as as hybrid large scale solutions move into the market. Hybrid arrays have a number of advantages in terms of production profile and optimizing grid connection. CS Energy, a Queensland government-owned renewable energy generator has entered into a ten-year, $150 million power purchase agreement (PPA) with Kennedy Energy, the developers of the 60 MW hybrid Kennedy Energy Park, being built in North Queensland. 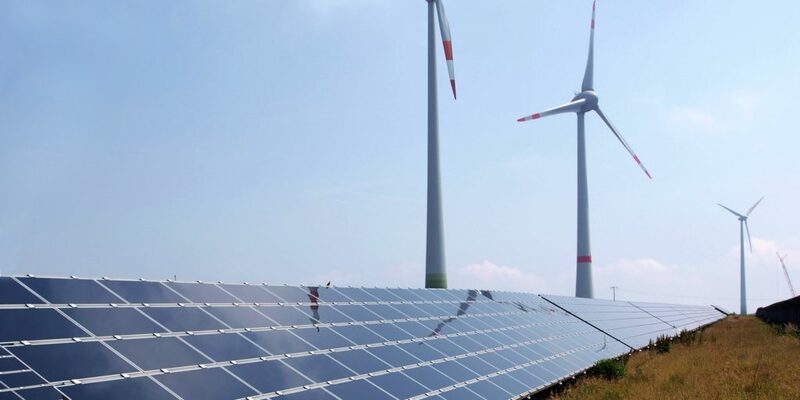 The hybrid park will be comprised of a 15 MW Solar PV plant, a 43.5 MW wind plant and 2-4 MWh of battery storage, which is being developed by Windlab and Eurus Energy Holdings respectively. By creating a hybrid facility combining wind and solar resources supported by battery storage will allow the Kennedy Energy Park to supply a steady source of power to the grid. The plan is to ensure that the park is fully operational by the second half of 2018 and will connect to the national grid via existing transmission infrastructure, with a maximum export capacity of 50 MW. Queensland Treasurer Curtis Pitt articulated that the agreement would signify that CS Energy will buy the electricity output and a portion of the large-scale generation certificates from the hybrid energy generation facility. “The Kennedy Energy Park is an innovative grid-connected wind, solar and storage hybrid project that will provide enough electricity to power more than 30,000 homes,” said Pitt . “This $150 million project is part of a wave of renewable energy investment occurring in North Queensland that will revitalize communities and create jobs for the future. CEO of CS Energy Martin Moore said that the agreement was part of the strategy laid out by the company to facilitate the development of renewables in Queensland. “CS Energy is looking to the future and making strategic investments that will provide a sustainable future for the company and support Queensland’s transition to a clean energy future,” Mr Moore said. According to the Minister of Energy, Biofuels and Water Supply mark Bailey, the Palaszczuk Government is committed to the rapid emergence of renewables in the country. “The Palaszczuk Government is committed to achieving a 50% renewable energy target by 2030 which has the potential to deliver broad benefits to the economy, particularly in regional Queensland,” Bailey said.